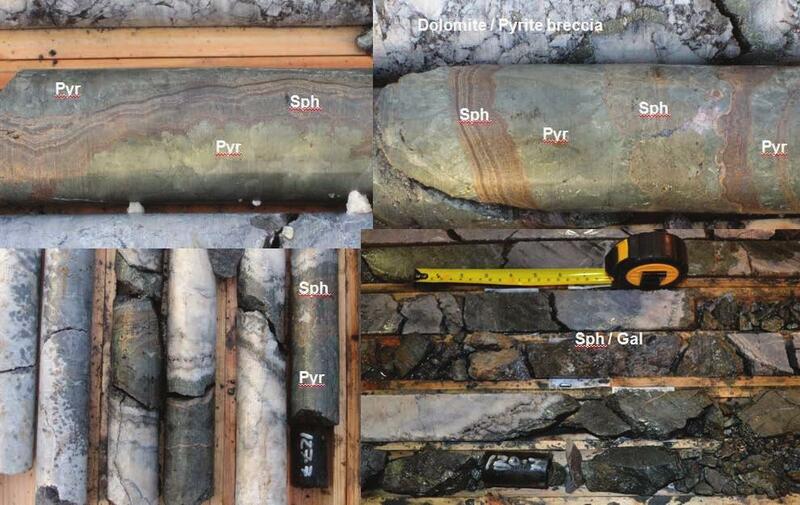 Waulsortian Reef textures as relic features and later cross cutting, white saddle dolomite. Reef and the underlying ABL. 7.5% Zn / 9.9% Pb have been reported. 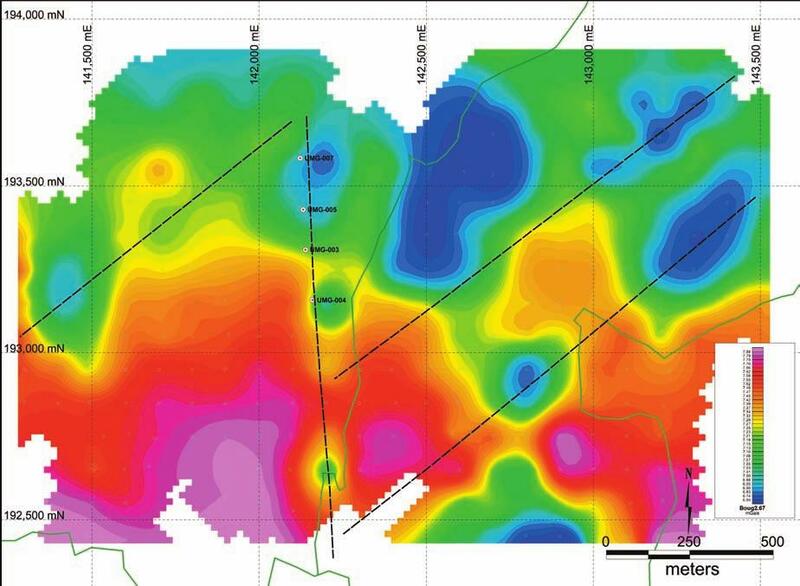 of gravity surveying and two diamond drill holes, one each at Addergoole and Knocktoby. hole that gave rise to the IP anomaly. anomaly and a gravity survey was carried out across the Knocktoby area. severely affected the survey productivity. further investigated. 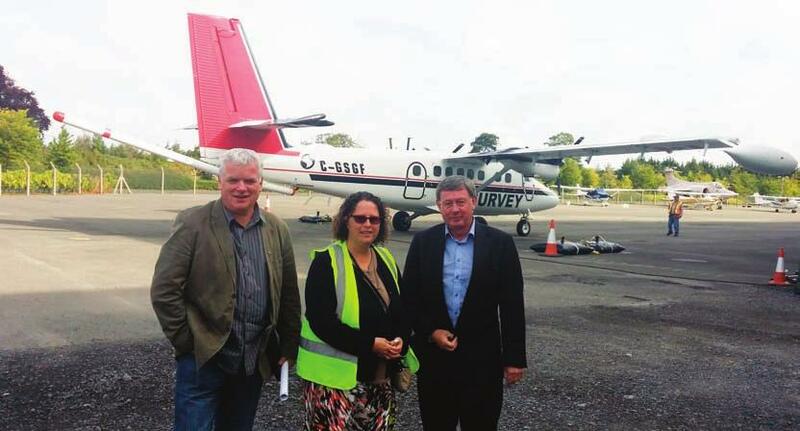 Extension of the survey in a southerly direction is planned in the near future. in the 1980’s by Billiton near Birr. Fault (Figures 11 & 12). 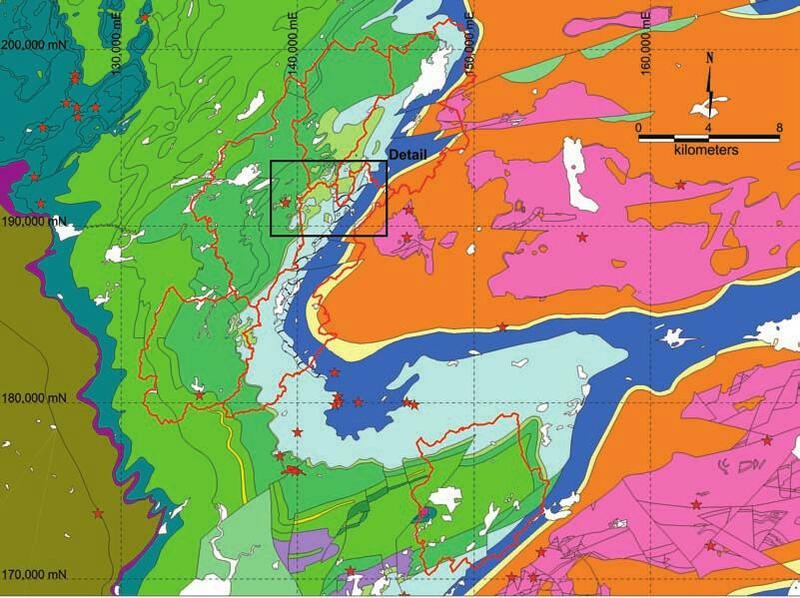 The style of mineralisation at the Kinnity deposit is steeply dipping lenses of massive sulphides associated with a coarsely crystalline, creamy coloured calcite gangue. both along strike and down dip. for future follow up work. 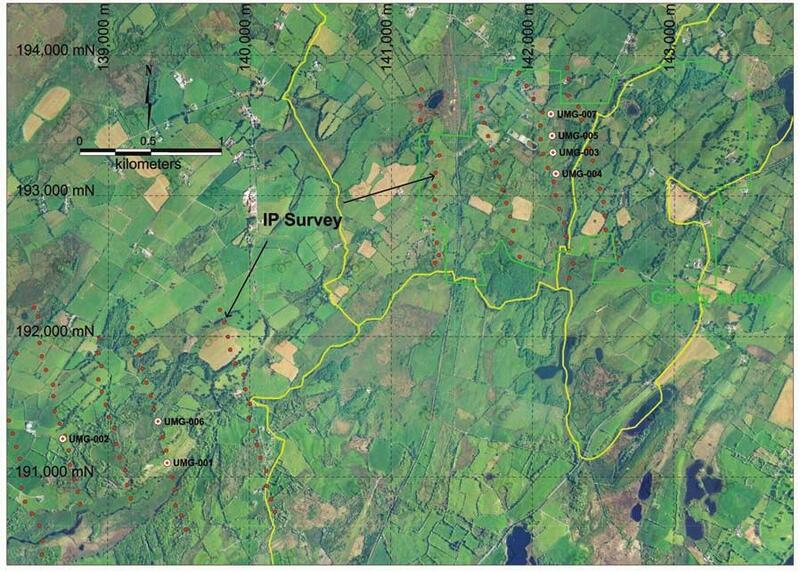 area of c.515km2 in eastern / southeastern County Waterford (Figure 15). 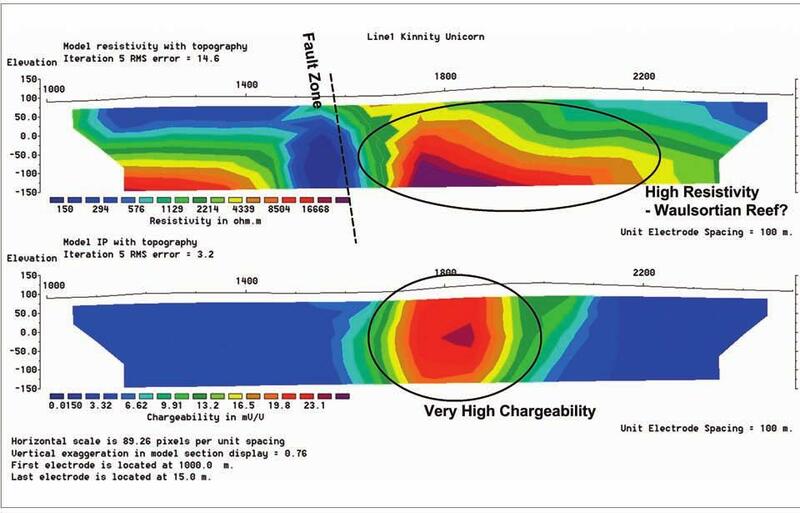 Back Arc environment along the southern margin of the Iapetus Ocean. 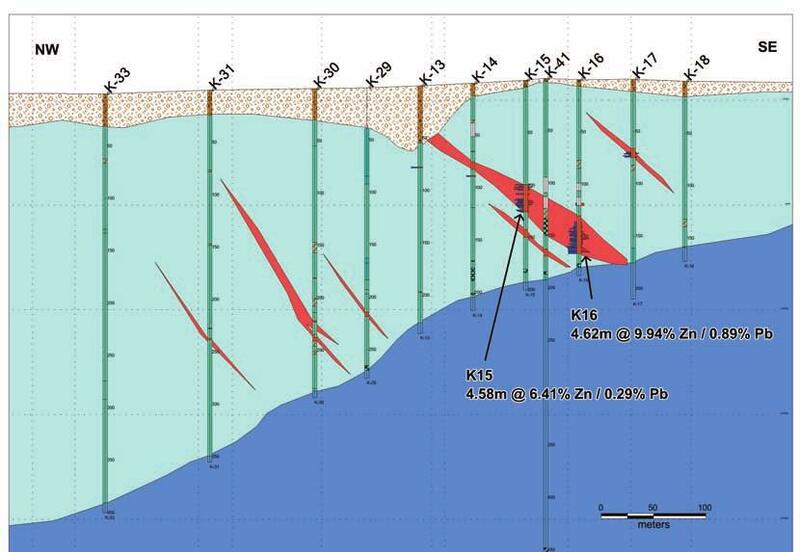 by the limited amount of drilling carried out to date. 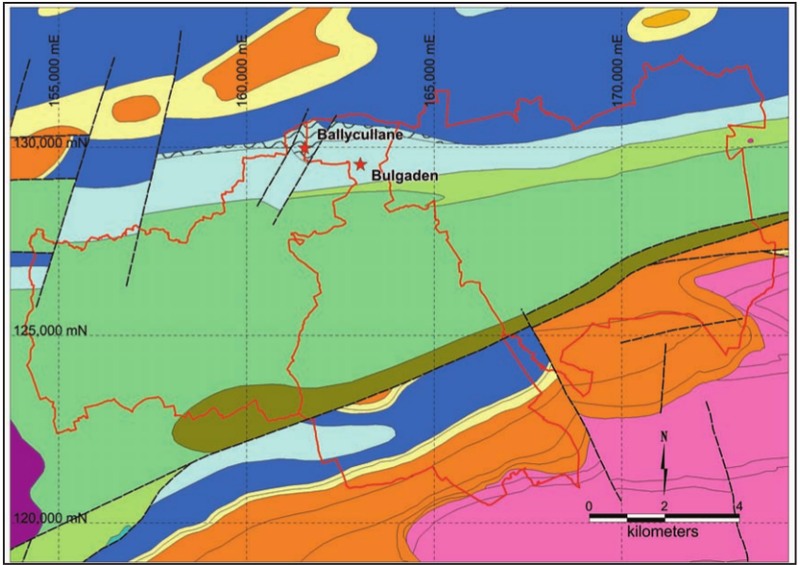 of historic exploration for gold has discovered a number of significant indications. 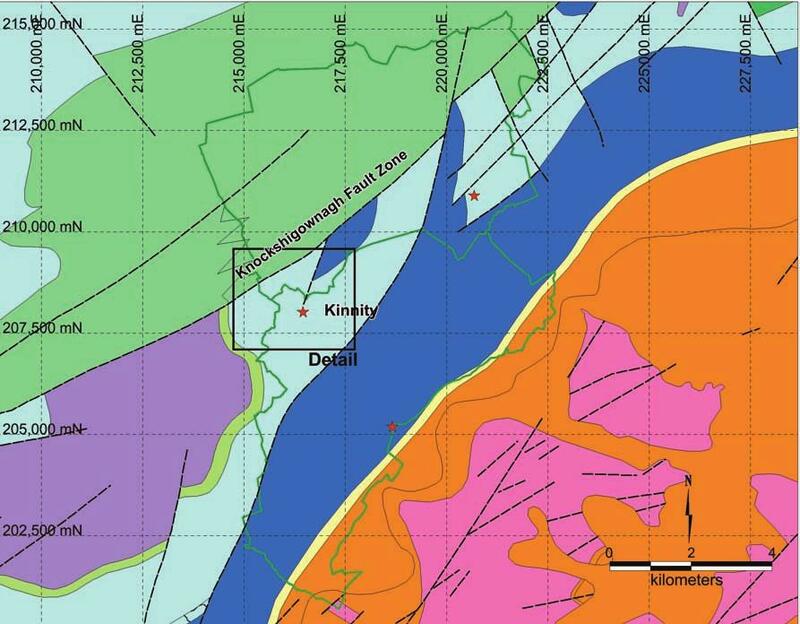 the Carroll’s Crossroads target drilling discovered zones of up to 4% Zn + Pb and 0.2% Cu. in the old underground workings (Figure 16). collated into a comprehensive database. 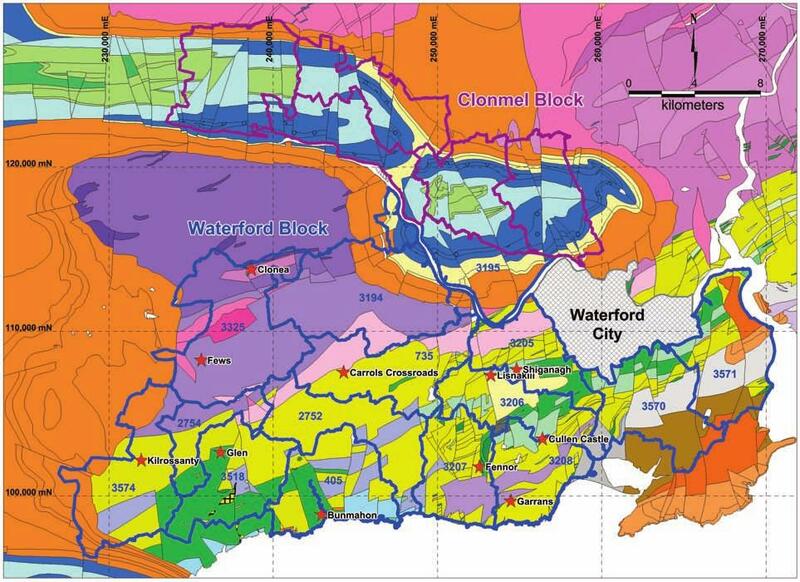 will allow Unicorn to refine and develop the geological and structural model for Waterford. This will facilitate better and more accurate targeting of follow up exploration. Reef sub-crops extensively along the northern flank of the Kilmallock syncline. basal Waulsortian Reef, possible analogous to iron formations at Tynagh and Crinkill. 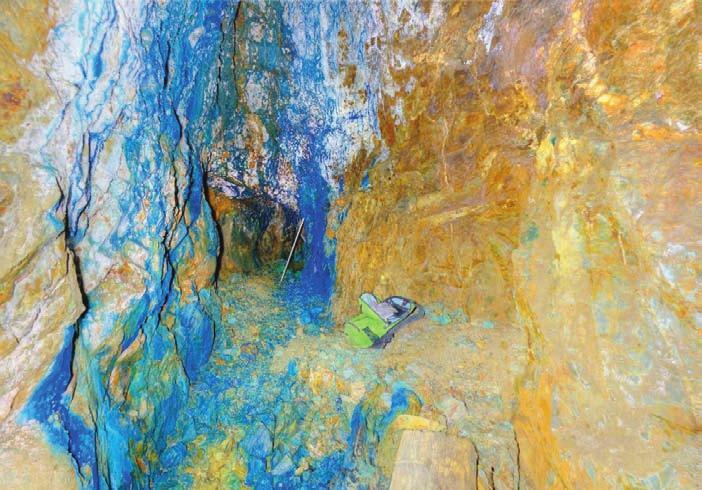 recognised since the discovery of the Pallas Green deposit. 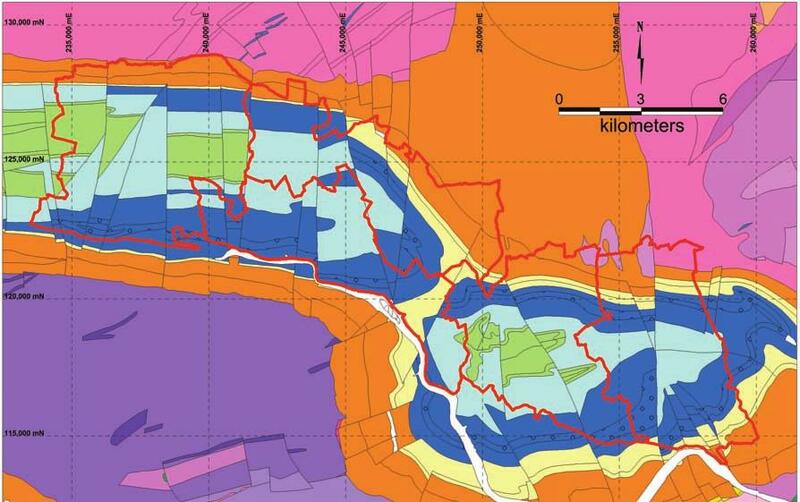 02/03/2016 -- The Annual general Meeting of Unicorn Mineral Resources will take place on Tuesday 22nd Mach 2016, at 2:00 p.m. in the Stephen’s Green Hibernian Club, 9 St. Stephen’s Green, Dublin 2. The meeting will be followed by a presentation on the information emerging from the recent drilling and the options going forward. 18/01/2015 -- The Annual general Meeting of Unicorn Mineral Resources will take place on Monday 9th February 2015, at 2:00 p.m. in the Stephen’s Green Hibernian Club, 9 St. Stephen’s Green, Dublin 2. 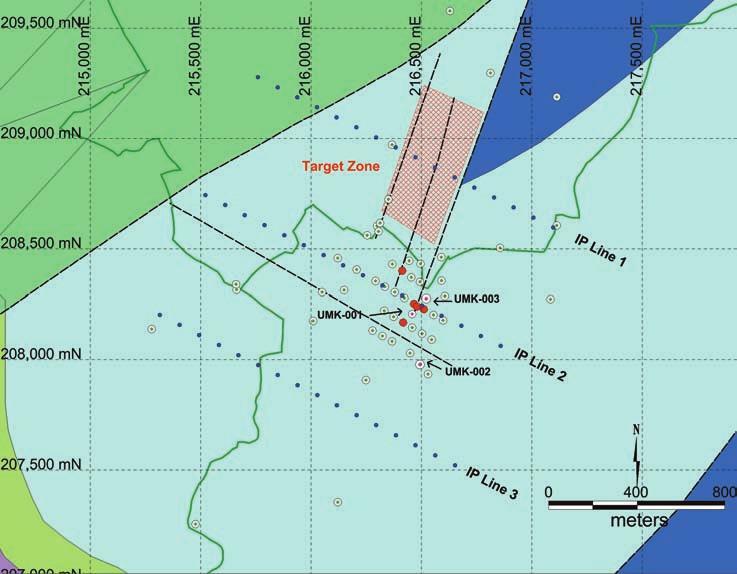 The meeting will be followed by a presentation on the information emerging from the recent drilling and the options going forward. © 2019 Unicorn Mineral Resources Ltd All Rights Reserved. The actual replica watches includes a platinum eagle situation, having a situation sizing the same through prior variations from 39. 5mm, as well as drinking water opposition continues to be exactly the same from tag heuer replica sale yards (exactly what had been a person anticipating from the gown watch? ). The actual directly lugs mid-foot somewhat with regard to much better cartier replica sale on comfort and ease, and also the rolex replica sale emerges along with a range of a good or even see-through sapphire very situation back again. When it comes to straps, it is a hands sewn dark brown alligator which has rolex replica chosen sq . weighing scales for any normally standard appear. The actual Patek Philippe Never ending Diary 5496P-015 includes a elegant rolex replica uk metallic call, used precious metal guns, as well as dauphine fingers. The actual rolex replica uk aperture also offers precious metal highlights as well. It's difficult to determine in the pictures, however the emphasize has to function as the hublot replica uk completed hr guns as well as fingers. This shimmers as well as glints superbly, as well as tends to make period understandable even though illumination problems tend to be bad.